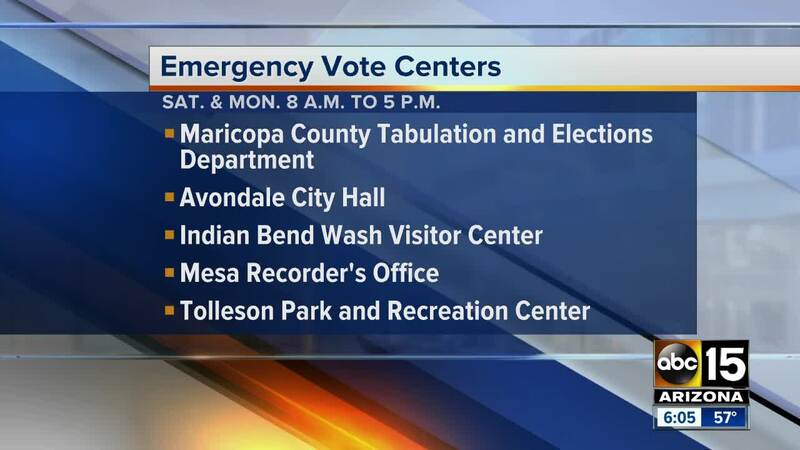 Emergency polling stations set up throughout Valley to ensure last-minute votes are counted. With a high stakes election just days away several groups, campaigns, and organizations are mobilizing quickly to get people to get out and vote. "This is a time for their voice to be heard," said Betzabel Ayala-Vega, a leader with "Our Voice, Our Vote." Ayala-Vega has been with the group since she was a junior in high school. Now a junior in college, she's motivated to get people to turn out to vote because of her background. "I come from a family of immigrants so, obviously my mom and dad can't really vote and I know how important it is to vote so as a young Latino woman I wanna make sure that everyone's voice is heard," she said. Using an app called "miniVAN" her small group hit the streets today knocking on doors in historically low-voter turnout communities to get so-called "New Americans" to head to the polls. Looking to motivate minorities, women, and millennials who they say are the next voice in the country. "We're just trying to get people to just vote. It doesn't matter what political party you are just as long as your voice is heard through your vote," she said. In the last few days, they have knocked on over 40,000 homes all in an effort to get people to head to the polls on Tuesday. 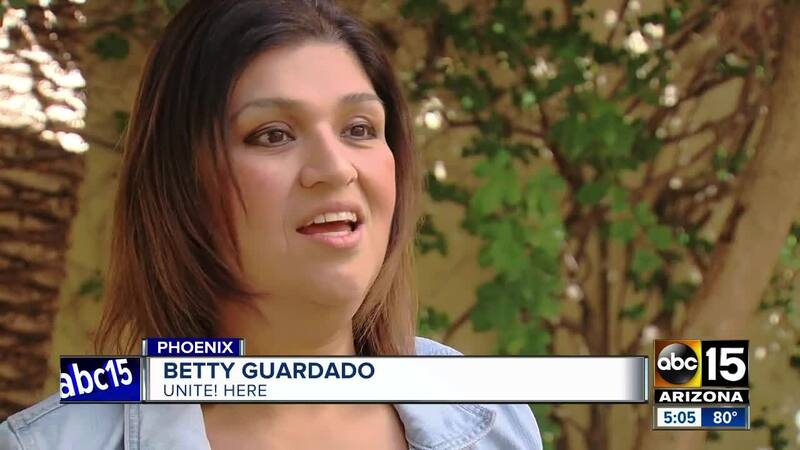 "The last couple of weeks have been intense," said Betty Guardado with UNITE! Here. Guardado and her group have also been targeting these "New Americans" trying to motivate them to get out and vote. In these last few days, her group is looking to make voting as easy as possible. "So far we've assisted over 2,000 people with their ballots, we've knocked on over 70,000 doors, we're offering rides to the polls," she said. Everyone is working to get people to turn out. The Democratic Party says in the past week they've knocked on over 230,000 doors, pulling in 4,500 volunteer shifts with over 8,000 scheduled shifts from now till Election Day. 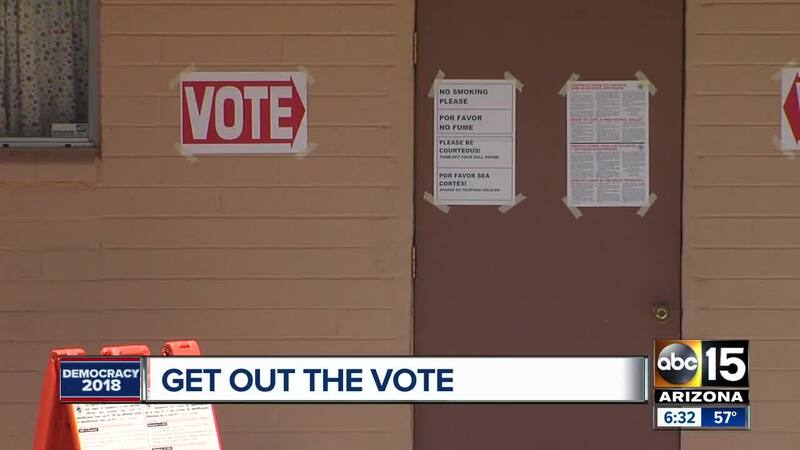 ABC15 has also reached out to the Republican Party to find out their efforts in the final days of the election but have yet to hear back from them.